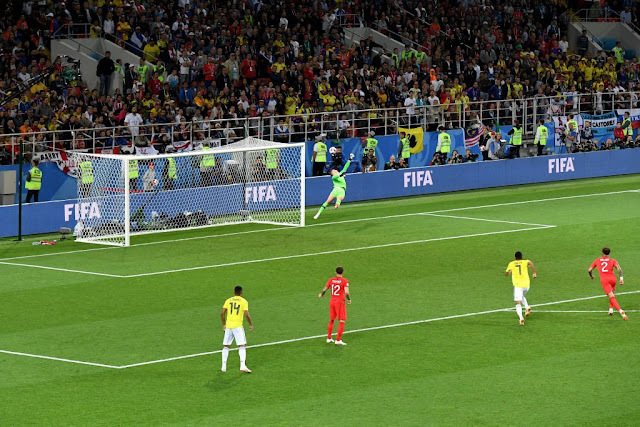 Just before Yeri Mina equalized for Colombia, England goalkeeper Jordan Pickford made one of the best save we have seen at a World Cup. Sadly for the Three Lions, Colombia levelled the score from the resulting corner. But this would have been a ridiculous goal by Colombia's Uribe if it had gone in, the save by Pickford was amazing!